J.K. Rowling isn't an author to publish a mega-popular series of books and then disappear into a giant Scrooge McDuck pile of money while her fans obsess over unanswered questions and magical mysteries. 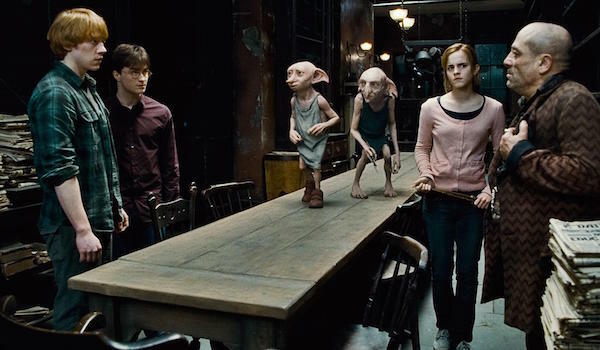 Between Twitter and her Harry Potter website, the author continues to interact with fans and answer questions about the beloved magical series, some more hard-hitting than others. Harry Potter book spoilers ahead! 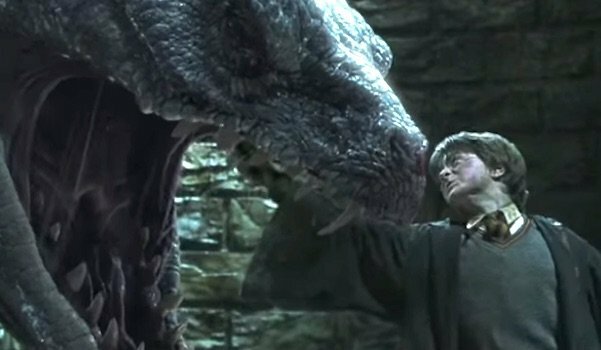 At the end of Harry Potter and the Chamber of Secrets, Harry faces off with the Basilisk, which manages to sink one of its giant fangs into Harry before it dies. We know for a fact that Basilisk venom is one of the few substances strong enough to destroy a Horcrux. Not only does it destroy the one in Tom Riddle's diary, but Ron and Hermione also use one of the fangs to destroy Helga Hufflepuff's cup. So why wasn't the Horcrux residing in Harry's head destroyed when he was bitten by the Basilisk? Rowling's answer is simple enough. Harry wasn't destroyed by the Basilisk or its venom. He came very close, but Fawkes' tears healed him, and apparently that helped preserve the Horcrux.
.@hanzandz The crack in the stone was irreparable. Only Dumbledore cd have extracted the soul fragment but left the original charm intact. I feel like this answer might've needed more characters than Twitter allowed, but Rowling seems to have managed to answer it as a two-parter nonetheless. Technically, the stone was cracked irreparably, so that ensures the Horcrux is destroyed. But Dumbledore's super powerful and magically precise, so he'd be able to destroy the pesky Horcrux without rendering the stone useless. If that's not enough -- pure speculation here -- maybe the fact that the stone came from Death itself, adds a bit more durability to its magical properties. That the stone could even be made into a Horcrux in the first place is a bit perplexing, seeing as it was already brimming with intense magical powers. But I'm sure there's an added argument there about Voldemort's own level of power and precision. But I'm going to throw a followup question out there anyway. Was Harry destroyed irreparably at the end of Deathly Hallows? Because he did die, but he recovered, so I mean, define "irreparably." Why is the Black family home in a Muggle community? It does seem a bit out of character for a family as intolerant as the Blacks to reside in such close proximity to Muggles. But it's not out of character that they would use (presumed) magical means to take what they wanted from Muggles. What ever happened to Fluffy? So, Fluffy went back to Greece, and isn't lurking somewhere in the dark forest. That's comforting to know. 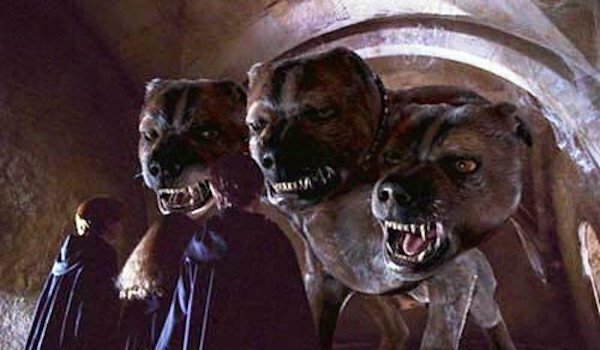 But now I'm wondering how a three-headed dog is transported from the U.K. to Greece undetected. Alas, that's all J.K. Rowling Tweeted for now, so I'll just have to add my curiosity about Fluffy's trip from Hogwarts to Greece to my list of questions related to witch/wizard transportation. As for J.K. Rowling, she has some interesting things on the horizon, including the anticipated Harry Potter-related feature adaptation of Fantastic Beasts and Where to Find Them, and the small screen adaptation of her novel A Casual Vacancy.